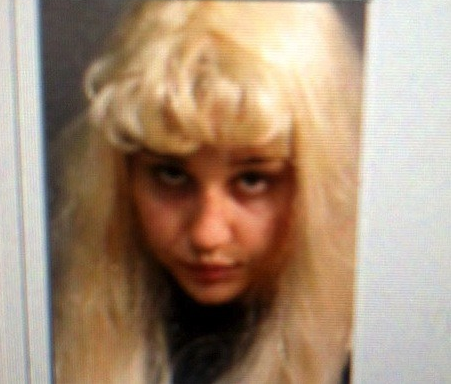 Troubled Amanda Bynes caught shoplifting at Barneys in New York. Amanda Bynes continues to make headlines. TMZ reports the troubled actress was caught shoplifting at Barneys in New York. She allegedly put on a $200 hat and attempted to leave the high-end store without paying. Guards stopped her outside the store and brought her back for questioning. The "Easy A" star told the security she didn't mean to steal the pricey hat, claiming that she grabbed it to cover her face after being chased by fans. The former child star, now 28 years old, was let go before police arrived, but the store made her sign a no-trespass document that banned her from coming back. Bynes stays in the Big Apple after her DUI arrest in California. She said she planned to transfer from her fashion school at FIDM to NYU or Columbia. She is rumored getting engaged to her 19-year-old boyfriend whom she met in rehab and has been seen wearing a diamond ring. mk ultra programming is breaking down again. she wants to break away for good.